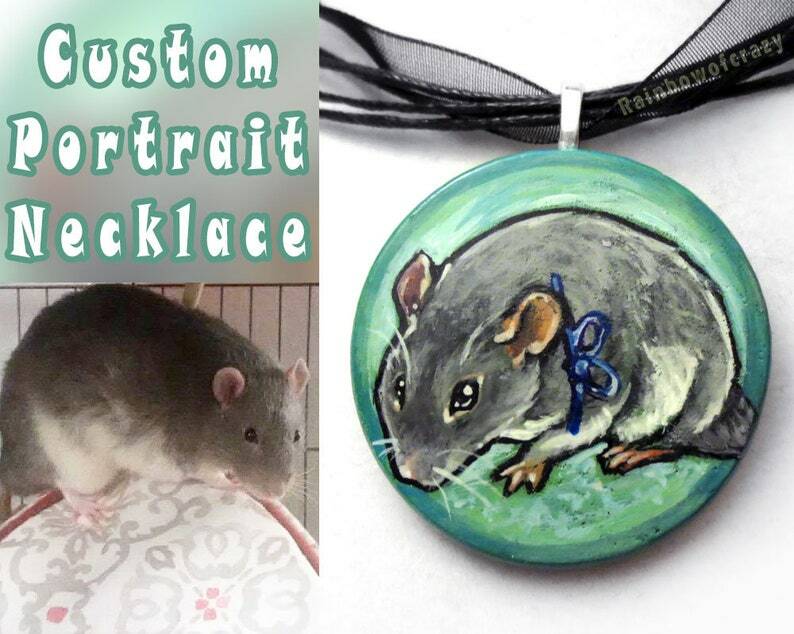 This is a special listing for one custom hand painted pendant of your pet. Your beloved cat, dog, or any pet big or small will be hand painted on a beautiful circular wooden pendant. 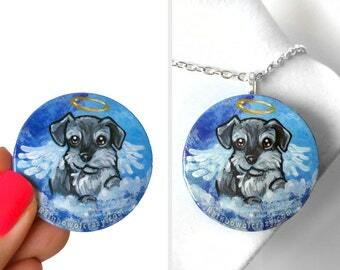 This sweet necklace is a reminder of that special animal in your life and can also be in memory of that beloved pet that has crossed over the rainbow bridge. Watermarks are not on the actual piece. This portrait is painted with acrylic paint on a smooth, lightweight wooden circle that weighs about 2.3 grams or 0.08 ounces. The wooden disc measures about 1.5 inches or 3.8 cm across and has been sealed several times for protection and a nice shine. Let me know what colours you would like for your pendant! If you would like a certain background colour, please include a note with your order. Examples shown in the above pictures show how colours will be applied to the piece.